Horror and dark themes abound in Sundance’s lineup of late-night flicks in their 2015 Park City at Midnight out-of-competition section, including Canadian filmmaker Bruce McDonald’s Hellions, written by CFC alumnus Pascal Trottier (’05), produced by alumnus Paul Lenart ('02) and featuring music by composer alumnus Todor Kobakov (‘12), which will make its world premiere in Park City Midnight next month. The Witch, a U.S.-Canada co-production produced by alumnus Daniel Bekerman ('14), will also make its world premiere at Sundance in the U.S. Dramatic Competition. The Sundance Institute announced the full list of films selected to screen in the 2015 Sundance Film Festival out-of-competition sections Spotlight and Park City at Midnight, as well as the films and installations to be featured in the New Frontier program on Thursday, December 4. 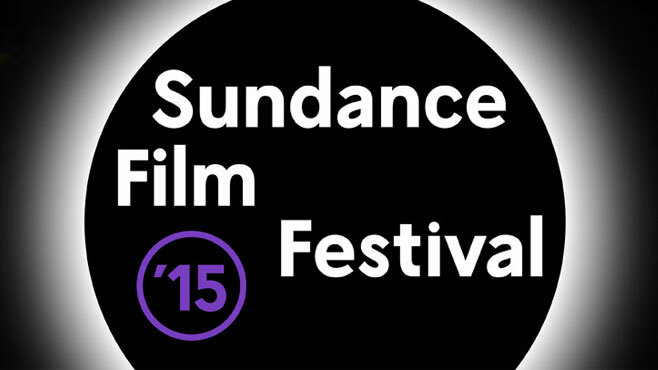 The Festival runs from January 22 to February 1, 2015 in Park City, Salt Lake City, Ogden and Sundance, Utah. In Hellions, teenage Dora Vogel must survive a Halloween night from hell when malevolent trick-or-treaters come knocking at her door. The film stars Chloe Rose (Degrassi: The Next Generation), Robert Patrick, Rossif Sutherland, Rachel Wilson, Peter DaCunha and Luke Bilyk. The Witch is set in New England in the 1630s: William and Katherine lead a devout Christian life with five children, homesteading on the edge of an impassable wilderness. When their newborn son vanishes and crops fail, the family turns on one another. Beyond their worst fears, a supernatural evil lurks in the nearby wood. Featuring Anya Taylor Joy, Ralph Ineson, Kate Dickie, Harvey Scrimshaw, Lucas Dawson and Ellie Grainger. Canadian talent is well represented at the 2015 Sundance Film Festival, with a number of films screening in various programs, including Guy Maddin’s The Forbidden Room; Turbo Kid (a Canada/New Zealand co-production), co-directed by François Simard, Anouk Whissell and Yoann-Karl Whissell; Chorus, written and directed by François Delisle, which will screen in the World Cinematic Dramatic Competition; and two Canadian documentaries will premiere in the World Cinema Documentary Competition, Sophie Deraspe’s The Amina Profile, and Jerry Rothwell’s Canada/UK co-production How to Change the World. Click here for the full film festival lineup.